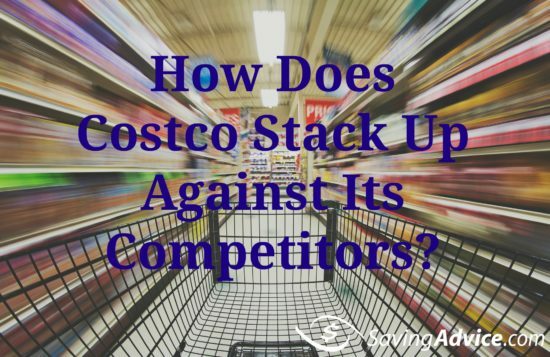 Costco Comparison: How Does It Rank Among Competitors? The American consumer loves a good deal, and Costco loves to deliver the deals. Not only does this wholesale retailer offer a low-price range but a wide variety of merchandise. But, how does it differentiate to its competitors? We did a Costco comparison to see. Who has the best prices? 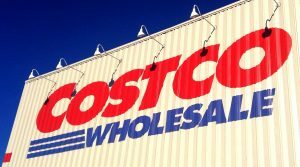 Costco: A membership at Costco costs $55 for a basic card or $110 for an executive membership (not including sales tax) that comes with an annual two percent reward on certain Costco purchases. These are valid for more than 700 different locations worldwide as well as online. With an executive membership, you do also receive benefits on Costco travel products. Sam’s Club: Although Walmart does not have a membership option, its retail division Sam’s Club does. A standard or business membership is $45 while the plus version, which includes more benefits of course, is $100. With a Sam’s Club Plus card, members can enjoy discounts on services such as prescription glasses, tire and battery center, and club pickup capabilities along with cash rewards. BJ’s: For $50 per year, you’ll get a BJ’s personal membership and $100 puts you on the Perks Rewards membership. Similarly to Costco, they also offer a two percent reward on purchases. In addition to discounts on purchases, you’ll save money on vacations, home improvements and more. Prices can vary by region. The asterisk (*) notes estimated best deal. It seems Sam’s Club and Costco prices are pretty comparable, but let’s see how their customer satisfaction stacks up to one another. Store Brand: Kirkland Signature products: Of course, reviews will vary product to product, but overall, the ratings are about 4.7 out of five stars, according to Amazon. While many Kirkland items may rate high, their pet foods unfortunately do not. At a low of roughly 1.5 stars on Consumer Affairs, many consumers are stating that the food made their dog sick, though all seemed fine once taken off the brand. According to Consumer Reports, some of the best Costco products include bacon, Mr Coffee coffeemaker, vanilla ice cream, and laundry detergent. Overall, the Kirkland brand is fairly well received by consumers. Locations: The wholesaler has 705 locations worldwide as of July 2016 with most in the United States and Puerto Rico. Store Satisfaction: While employees rate working at Costco an average of four out of five stars on the popular job site Indeed,com, there are a total of 678 complaints regarding Costco products on Consumer Affairs. Addtionally, Costco does provide a full refund to unsatisfied customers. Store Brand: Member’s Mark: It is important to note that Sam’s Club actually offers multiple generic and private brands; Member’s Mark began as its original. Member’s Mark rates similarly to Kirkland at 4.7 out of five stars on Amazon. Also similar to Costco, Member’s Mark dog food also unfortunately receives low ratings at 2.5 stars on DogFoodAdvisor.com. Popular purchases include but are not limited to batteries, over-the-counter and prescription drugs, Member’s Mark grills, and televisions. Locations: Sam’s Club operates out of 655 warehouses throughout the U.S. and Puerto Rico as of 2016. Store Satisfaction: There are 540 different complaints on Consumer Affairs regarding the Sam’s Club corporation. Although there are less complains on that particular site, Indeed.com shows an overall satisfaction rating of 3.7 stars for employees. The chain will give full refunds to disheartened consumers as well, which helps to improve their customer satisfaction. Store Brand: Berkley and Jensen: Berkley and Jensen also has a 4.7 star rating on Amazon. Consumers appear to love their organic items selection, their baby wipes, and variety of cereals. Locations: BJ’s Wholesale has more than 210 locations in 15 U.S. states serving the East Coast. Store Satisfaction: There are generally mixed reviews on customer service, but there are only 165 complaints on Consumer Affairs. However, it is less known nation-wide than its competitors. Employees rated the company a 3.6 out of five stars on Indeed.com. Store Brand: Walmart sells a variety of generic brands, just like Sam’s Club, and one of the more popular of the group is Great Value. No membership is needed to shop at Walmart, providing even more convenience to consumers. According to GoodGuide.com, the Great Value brand receives an overall rating of fair or 5.8 out of 10. Locations: Walmart has 4,645 locations in the U.S. and 6,273 locations internationally. Store Satisfaction: Consumer Affairs currently has 2,454 complaints on its site regarding Walmart. Employees rated Walmart a median of 3.6 stars on Indeed.com. The retail stores above all allow for for online ordering or in-store pickup options. Each company also has an estimated average of three to 3.5 stars rating online. Despite Costco’s somewhat chaotic change to Visa this year, it is still standing its ground and members remain loyal. They have been able to market themselves to an audience who has not been as affected by the slow economic growth, unlike arguably its biggest competitor Sam’s Club. Whether you choose a membership warehouse like Costco or to simply have the option to come and go as you please through Walmart is dependent upon your own personal preference. Costco and Sam’s Club have similar membership benefits along with comparable prices; however, Costco does have more store locations, and even though it also has a higher membership rate, its store brand is a fan favorite. What is your own Costco comparison? Are you a supporter? For more info on Costco check out these articles. Is the Costco Membership Fee Worth it? Is a Costco Executive Membership Worth the Price? Costco Gas Calculator: Will I Save Money Buying a Membership if All I Buy is Fuel? You can check out our articles for Target as well. Is Costco Open on Easter Sunday 2019? 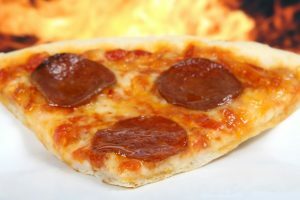 How Many Slices Does a Costco Pizza Have? 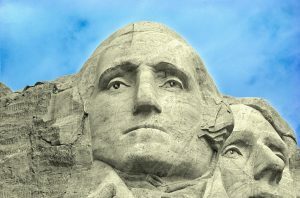 Is Costco Open on Presidents’ Day 2019? 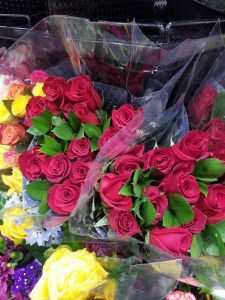 Costco Roses Are Red, Are They Cheaper Too? Is Costco Open on Sunday? 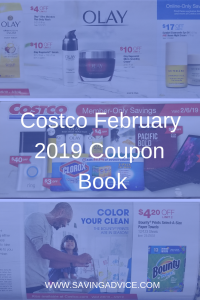 Take a Look at the Costco January 2019 Coupon Book!